Honor a deserving hero with our Oval Firefighting Award! 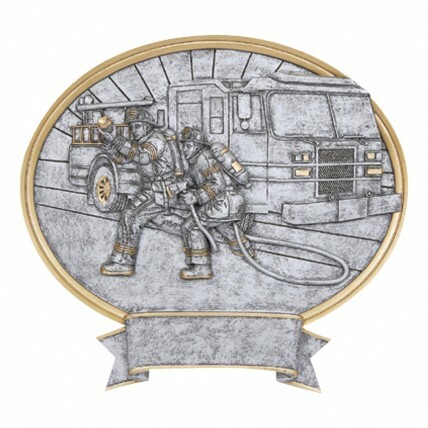 Made of pewter colored resin, this oval-shaped award features a scene of firefighters in action with a fire truck in the background accented with gold highlights. This award can either stand on a flat surface or hang on the wall. Measures approximately 8" tall and 9" wide; includes 3 lines of engraving.